Who doesn’t love to spend a day at an amusement park? 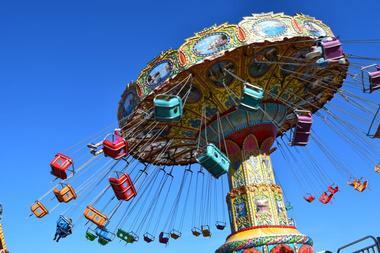 Maryland is home to several exciting and fun-filled amusement parks that are sure to delight the whole family. 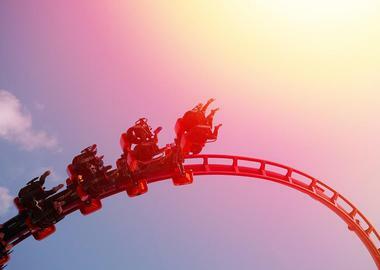 Whether people are looking for roller coasters, Ferris wheels, thrill rides, or kiddie rides, there is something for everyone at these theme parks. Some even include waterparks for guests to cool down in the summer sun. Nothing says summer like hurling down an adrenaline-pumping roller coaster or flying down a water slide. Adventure Park USA is a Wild West-themed amusement park and is the largest family entertainment center in the state of Maryland. Located around 40 miles from Washington, D.C., the theme park features the Blazing Trails Go-Karts, Desert Oasis Miniature Golf, Crater Lake Bumper Boats, and kiddie rides. The indoor attractions of the park are open year round, such as the West World Laser Tag, Rustler’s Ridge Rock Wall, Spin Zone Bumper Cars, Gold Rush Playground, a high ropes course, the Stampede Arcade, and a cafe. Other rides include the Tilt-A-Whirl, Teacups, Frog Hopper, Wild Express Roller Coaster, Wildcat Roller Coaster, and the Tumbleweed Coaster. Since the first race at the park in 1981, Baja Amusements has been a tradition in Ocean City. The amusement park features 10 acres of fun attractions, including eight tracks for go-karts. The park also includes a 19-hole miniature golf course, bumper boats, two climbing walls, and three rides for younger children, which are the carousel, the Frog Hoppers, and the Wacky Worm Roller Coaster. 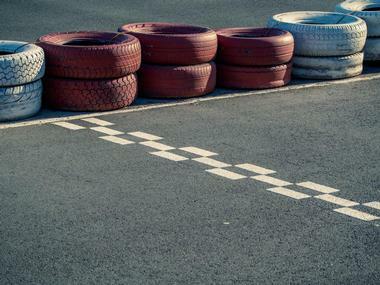 Baja Amusements offers a go-kart track for all ages with its variety of eight tracks with different features. There are three family tracks offering single-seat go-karts and double-seat go-karts, in which the passenger rides for free. Jolly Roger Amusement Park offers plenty of wet and wild fun for the entire family. The 30th Street location of Jolly Roger is a carnival-type theme park with a variety of rides and attractions, including two miniature golf courses featuring 18 holes. 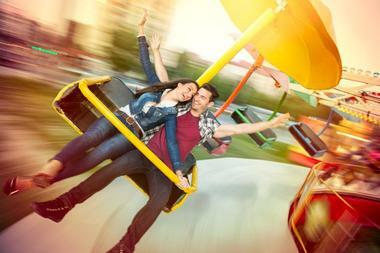 Rides at the amusement park include roller coasters, thrill rides, a large Ferris wheel, and ten go-kart tracks. Visitors can also cool off at Splash Mountain, Jolly Roger’s full-service waterpark, which is home to several slides and pools. Souvenirs can be found at one of the several colorful shops, and the park offers an array of delicious carnival-style food. The famous pier of Ocean City, found at the boardwalk’s southern end, has long been an icon of the city. 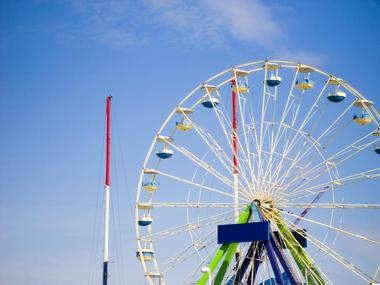 Rooted in the history of Ocean City, the pier is a home for amusement park-type rides, games, entertainment, and the first miniature golf course in the city. It is now home to Jolly Roger at the Pier. The amusement park features many games and rides for the entire family to enjoy, including a two-level carousel, the iconic Ferris wheel, and the thrilling Slingshot. Visitors can pay for just the rides they want to go on or use the Unlimited Rides Pass. Six Flag America is situated only 15 minutes away from Washington, D.C. The large theme park is home to over 100 rides, attractions, and shows, along with the largest waterpark in the state of Maryland, Hurricane Harbor. 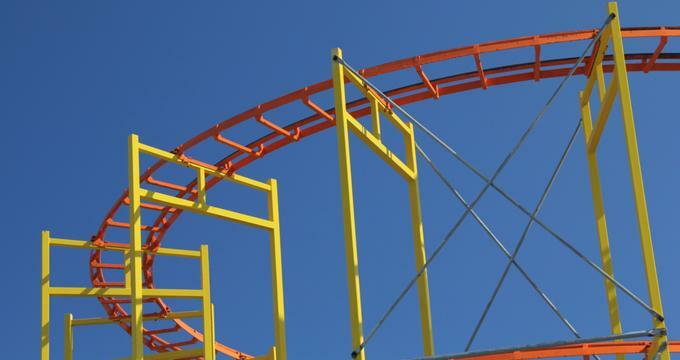 Boasting ten adrenaline-pumping roller coasters, the park has plenty of thrills for visitors, including the Superman hyper-coaster at 200 feet, the Batwing flying roller coaster, and the Wonder Woman Lasso of Truth extreme swing ride. Along with the thrill rides, there are areas designed for younger children with kiddie rides, such as the Looney Tunes Town, as well as a variety of shows. Visitors at Trimper’s Rides can smell the cotton candy and popcorn and watch dazzlingly lit rides rush by as they walk through the amusement park. The exciting park has been a tradition of Ocean City for quite some time. Located at the boardwalk, it consists of an indoor park, which is open year round, as well as three areas outdoors that are home to the park’s major attractions, including a number of thrill rides. 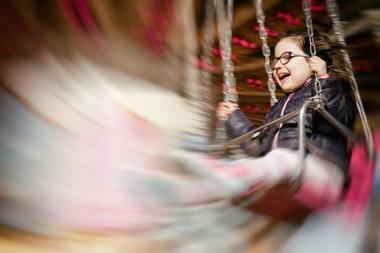 Most of the indoor facility is home to rides designed for younger children, such as the carousel, along with a shooting gallery, bumper cars, and the Haunted House dark ride.